Two blue birds of happiness sit on a "Tree of Life" silhouetted against a romantic and surreal full yellow moon. Reproduction from my sold original painting. * Prints only. Prints do not come with any frames or mats. 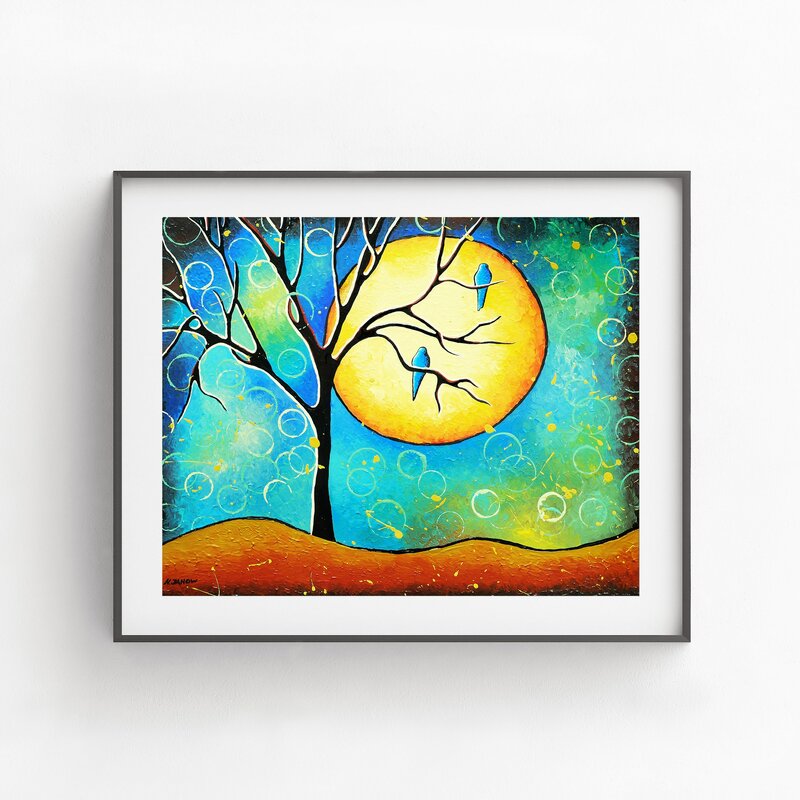 This love birds giclee art print is printed using Epson's archival ultrachrome pigmented inks (inks guaranteed not to fade for at least 100+ years under glass) on a museum quality, acid-free, 100% cotton rag, archival, bright white Velvet Fine Art Paper. The colors on these prints are amazing in person, and super fun designs! Quick shipping and secure packaging to boot. Thanks hjm!